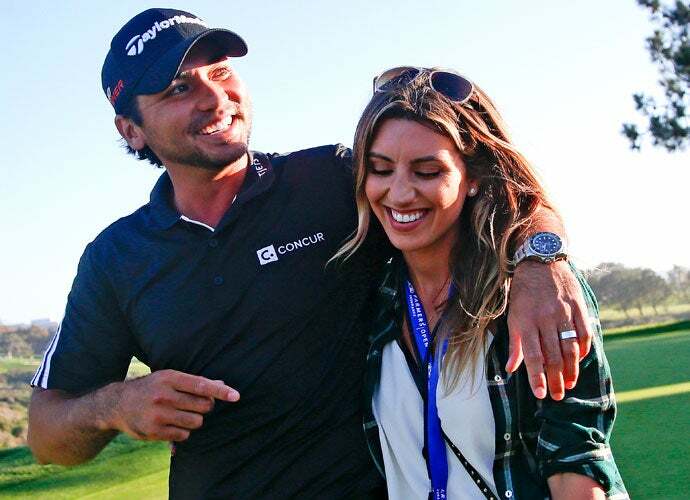 Jason and Ellie Day following Jason's playoff victory at the 2015 Farmers Insurance Open at Torrey Pines. 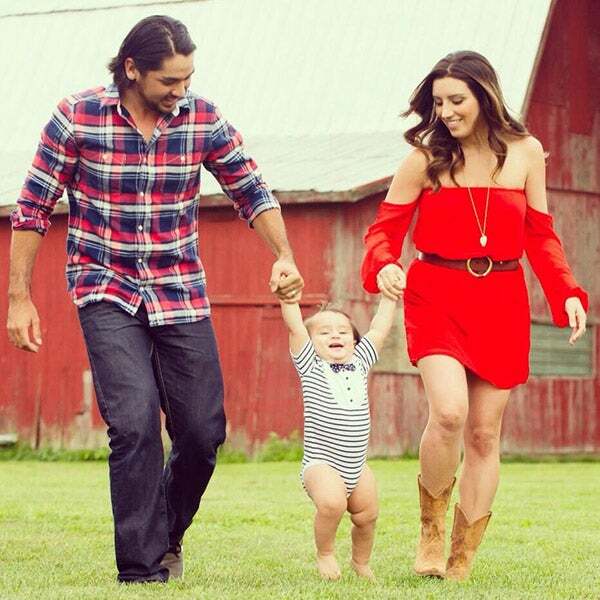 Ellie Day is the wife of Australian pro golfer Jason Day. 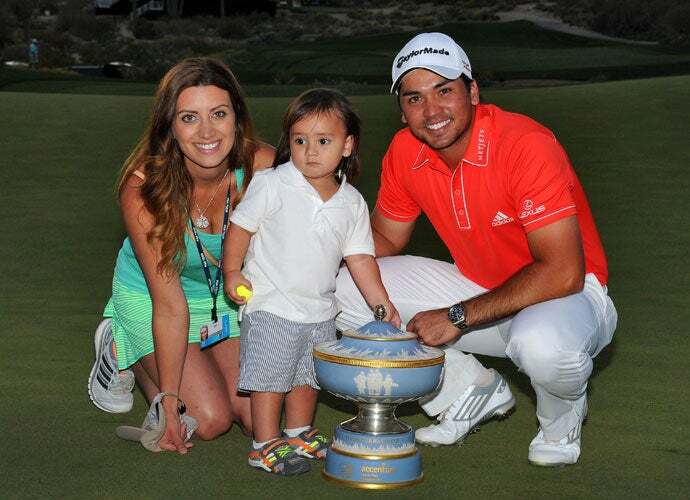 Ellie, Dash and Jason Day celebrate the WGC-Accenture Match Play victory. @ellielaneday: Ready for the week in pebble. Ellie and Jason Day hoist the Walter Hagen Cup after Day defeated Victor Dubuisson to win the Match Play. Dash, Jason and Ellie Day celebrate the Match Play victory. Jason and Ellie Day made a red-carpet appearance before the 2011 Presidents Cup in Melbourne, Australia. 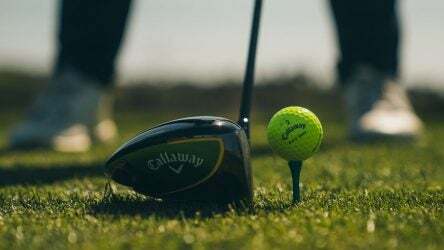 "I’ve been with Jason since the first tournament he played on Tour in 2008. We met in 2005 and started dating in 2007 when he was on the Nationwide Tour." @ellielaneday: Finally had a date night a couple nights ago in naples! Campiello. YUM!!! "We have an RV that we travel in, so that makes [following Jason on Tour] very doable for me, because when we’re on the road, I cook, we have all of our stuff, I can let our son play outside ... Jason goes to work and I have great friends on the road now. We live our life exactly the same way we do when we’re home, it’s just in a bus." Ellie falls to her knees and cries between tournament volunteers by the 18th green after her husband won the 2010 Byron Nelson Championship. Jason won the 2010 Byron Nelson Championship, his first PGA Tour victory. Ellie and Jason hoist the 2010 Byron Nelson Championship trophy. Jason and Ellie walk Augusta National during the par-3 contest prior to the 2011 Masters. Ellie stole the spotlight as she walked the course with Jason at the 2011 Masters. 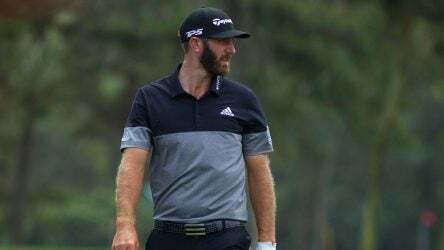 Jason and countryman Adam Scott would finish tied for second. "When Jason almost won the Masters, I didn’t even know [the camera would be on me]. So I was just kind of awkwardly standing there. Because I was so proud of him, that was his dream. I didn’t even have Twitter at that point, but I had 60-some friend requests that night on Facebook and I was like, 'Who are these weirdos?'" Jason and Ellie celebrated their four-year wedding anniversary at the 2013 Presidents Cup. Jason and Ellie walk with their son, Dash. "The Tour is an awesome community. We are so fortunate that the PGA Tour makes it so family-friendly. They want you to bring your family. There is no other sport where you can say they are that encouraging." Ellie may be from Columbus, Ohio, but she and Jason still enjoyed the (rowdy) support of Aussie Nation at the 2013 Presidents Cup. Ellie Day, left, and Ruby DeLaet cheer on the Presidents Cup International Team at Muirfield Village in Dublin, Ohio. Their husbands, Jason and Graham, were 2-1-1 in four matches as playing partners. @ellielaneday: Silliness on our way to opening ceremonies.